Russian trolls organized a protest and counterprotest in the same place at the same time last May, Senate Intelligence Committee Chair Richard Burr said on Wednesday. The revelation reveals how far Russia was willing to go to foment unrest and division in the US in the months leading up to the election. Burr said organizing and promoting these protests cost Russia "about $200." Russian actors organized both anti-Islam and pro-Islam protests on May 21 in the exact same location using separate Facebook pages that were being operated out of a troll factory in St. Petersburg, the Senate Intelligence Committee revealed on Wednesday. 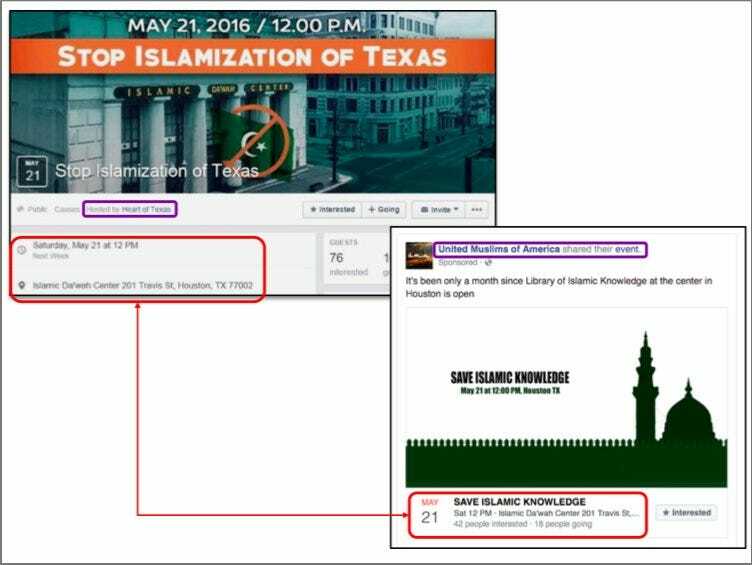 The Heart of Texas Facebook page, whose link to Russia was first reported by Business Insider, organized a rally at noon on May 21 at the Islamic Da'wesh Center in Houston, Texas, to "Stop Islamization of Texas." The account paid to promote the event, which was viewed by about 12,000 people, according to committee chair Richard Burr. 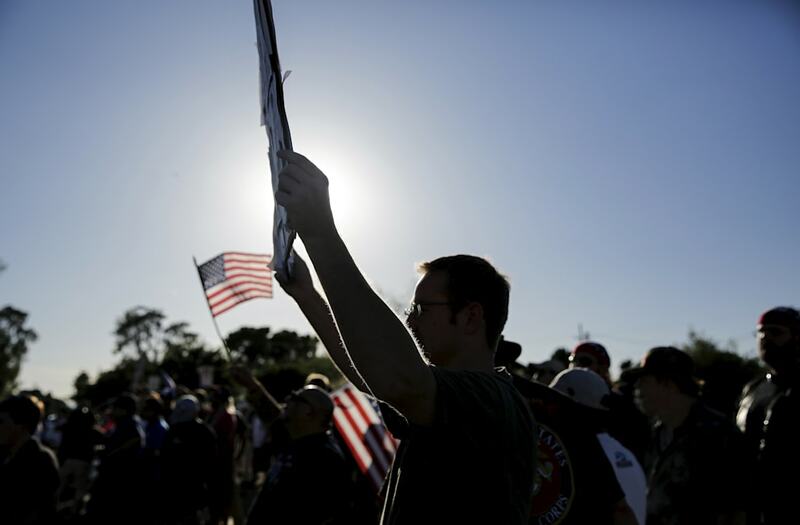 Another Russia-linked account, United Muslims of America, effectively organized a counterprotest: At noon on May 21 at the Islamic Da'wesh Center in Houston, Texas, dozens of people showed up for a "Save Islamic Knowledge" rally. As The Daily Beast reported in September, the United Muslims of America page was impersonating a real nonprofit organization. The group placed an ad targeting individuals in the Houston area that was viewed by more than 2,700 people, Burr said. "Ironically one person who attended stated: 'The Heart of Texas promoted this event, but we didn't see one of them,'" Burr said. "We now know why. It's hard to attend an event in Houston, Texas when you're trolling from a site in St. Petersburg, Russia." "Facebook enabled that event to happen," he said. "I'm certain that our adversaries are learning from the Russian activities. ... You must do better to protect the American people, and all of your users, from this kind of manipulation." 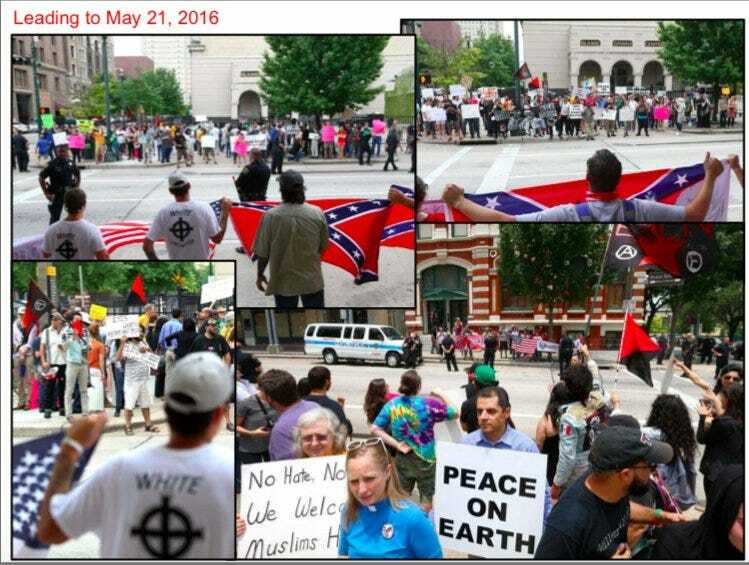 The anti-Islam rally was not the only event the Heart of Texas page promoted during the election: the group advertised a "Texit statewide rally" in October and a series of anti-immigrant, anti-Hillary Clinton rallies across the state three days before the election. Heart of Texas had over 225,000 followers as of last summer. It was shut down in early September as part of Facebook's takedown of accounts and pages "affiliated with one another and likely operated out of Russia," a Facebook spokesman told Business Insider at the time.